When properly installed, ventilated and maintained, gas appliances in catering kitchens are reasonably safe. Problems can occur, however, if the appliance is damaged, improperly vented, poorly installed or misused as a heater during power outages. The key safety risks associated with the use of gas appliances in food businesses are carbon monoxide poisoning and gas leaks. ‘Gas safety in catering and hospitality’ is still a key priority for local authority Environmental Health Departments, so every food business operator needs to be fully informed to keep one step ahead. Carbon monoxide (CO) is an odorless, colorless gas that is potentially fatal to people when allowed to build up in a confined space. It is a byproduct of gas combustion. Check the appliance is sited in a suitable place, i.e. where there is free movement of air and that it has a working extraction system. Check there is a functioning, audible CO alarm, sited in accordance with the manufacturer’s instructions and that all employees know what to do if it is activated. Ensure employees are aware of the signs and symptoms of exposure to CO and know how to raise any concerns. Don’t allow food residue to build up around your gas hob as this could cause the flame to starve of oxygen, leading to carbon monoxide building up. Use smaller pots & pans: If you are using pots too big for the hob, this could once again starve flames from oxygen, leading to carbon monoxide building up. Beware of the orange flame: You want to make sure that you always work with a blue flame. If the flame on your hob burns orange, this is probably due to the presence of CO. The cooking process will generate products of combustion, heat etc, all of which are required to be kept within safe environmental limits by operation of the ventilation system. If a mechanical system fails or is not working correctly, the environment may become unsafe or unfit for work. It is important to make sure all mechanical ventilation systems are working effectively. The installer should have fitted the appropriate interlocking system between any mechanical ventilation system and the operation of gas appliances so that failure of the ventilation system causes the gas supply to the appliances to be shut off. The ventilation extraction canopy and filters need to be cleaned on a regular basis, dependent on use, and contractors employed for a deep clean of the ductwork as required, dependent on use. Domestic CO alarms are not normally suitable for commercial kitchens and should not be used. CO alarms/monitoring systems are available for use in commercial installations. Where installed, CO alarm systems should give an audible alarm and be interlocked to the gas pipework serving the catering appliances with an automatic gas shut-off system. This should be a failsafe arrangement and requires manual intervention to restore the gas supply. 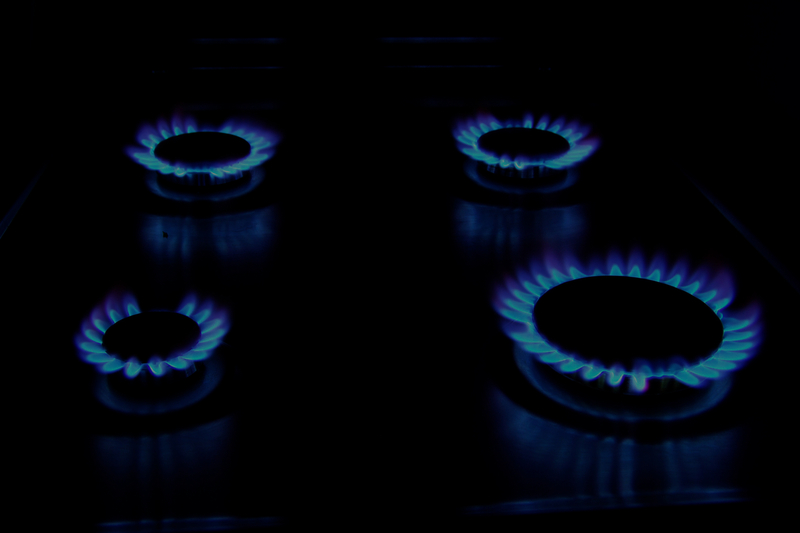 A broken gas line can allow gas to seep into your kitchen; where the confined gas could ignite if exposed to a spark or other ignition source. Fix any broken gas lines or faulty burners on your stove as soon as you become aware of them, and have your gas stove checked and serviced every year. Evacuate and call the fire department to safely disperse the gas buildup if you smell gas or believe gas has leaked in your kitchen. It is essential that anyone working on gas appliances is Gas safe registered for work in commercial kitchens - check their gas safe identity card. This includes boilers, cooking ranges and more specialised equipment including tandoori ovens and chapati flamers. All catering staff that use gas equipment should be trained in how to use it and in how to carry out visual checks for obvious faults. This will include such things as damaged pipework and connections, inoperative flame supervision devices (these shut off the gas supply automatically if the flame disappears), missing restraints on equipment, inoperative locks on castors of mobile equipment and smells of escaping gas. All staff should be familiar with what to do in these situations. Routine tasks such as connecting and disconnecting plug-in gas connections to appliances when moving for cleaning, or changing LPG cylinders or hoses, can be carried out by people who are not Gas Safe registered, but they need to be competent. Flame supervision devices are designed to stop gas entering the burner of a gas appliance if the flame is extinguished. The new equipment will have flame supervision devices. All second-hand equipment with open and/or enclosed burners being installed should be fitted with flame supervision devices. All ovens not originally fitted with a flame supervision device should have been upgraded. If this is not possible, replace them. These are often used for caramelising dishes such as crème brûlée and have been involved in several fires and explosions in kitchens when accidentally placed on hot surfaces. Do not place such torches on or near hot surfaces or near open flames. There should be a safe method of cleaning mobile equipment. Many appliances are now fitted with castors to allow movement for cleaning but flexible gas connectors can become damaged when equipment is moved. Cleaning without moving the appliance may be possible with careful installation, so flexible gas connectors are not required. If appliances containing hot liquids have to be moved, they must be fitted with lockable castors that are regularly maintained and liquids must have cooled before movement. Southalls food safety experts have many years of experience advising on kitchen safety including hands-on experience of accident investigations into poorly maintained gas appliances causing burns to employee's hands, arms and face. If you are responsible for a commercial kitchen, please don’t hesitate to contact us for further gas safety advice on 0345 257 4015.